Since Washington Redskins quarterback Robert Griffin III was benched before the season, he hasn't been talking. 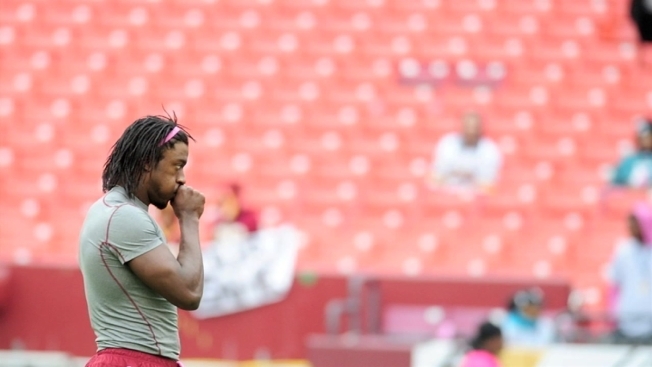 Despite being demoted to third string, fans still want to know what RGIII is thinking. But he's been allowed to address the media only once in the regular season, and that was for less than a minute before it was cut off by Redskins PR after the loss to the Jets Sunday. Redskins PR has since denied requests for an individual interview or a group media session with Griffin. According to policy, the media is allowed to interview any member of the 53-man roster during the open locker room session. The organization is denying that access to Griffin.